How much is Tadanobu Asano Worth? Tadanobu Asano Net Worth: Tadanobu Asano is a Japanese actor and musician who has a net worth of $10 million dollars. Born Tadanobu Satō on November 27, 1973 in Yokohama, Kanagawa, Japan, he is known for his roles as Dragon Eye Morrison in Electric Dragon 80.000 V, as Kakihara in Ichi the Killer, as Mamoru Arita in Bright Future, as Hattori Genosuke in Zatoichi, as Kenji in Last Life in the Universe, as Aman in Survive 5+, as Ayano in The Taste of Tea, as Temudjin in Mongol and Hogun in the film Thor, based on the Marvel Comics character. Asano made his debut in the 1990 film Swimming Upstream, though his first major success came in Shunji Iwai's Fried Dragon Fish (1993). His first success internationally came in Hirokazu Koreeda's Maboroshi no Hikari (1995). Aside from acting, Asano has directed TV commercials for his then-wife Chara. He is a musician and plays from time to time in the bands Peace Pill and Safari. He is an artist and model as well, most well-known for his work with Japanese fashion designers Jun Takahashi and Takeo Kikuchi. 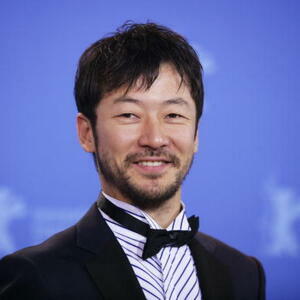 Asano won the Most Popular Performer Award at the 1997 Japanese Academy Awards for Acri and was nominated in the Best Supporting Actor category in 2004 for his performance in Zatôichi and he also received the Upstream Prize for Best Actor at the 2003 Venice Film Festival for his role in Last Life in the Universe. In 2014, he was awarded the Best Actor Award at the 36th Moscow International Film Festival for his role in My Man.